What is wisdom? Is it maturity, or intelligence, or a combination of different traits? What makes a person wise? People associate wisdom with various characteristics, and in general someone who is wise is regarded as a role model to others — someone people can go to for answers. Although the definition of wisdom is unclear, many people strive for it despite not knowing exactly what it is. 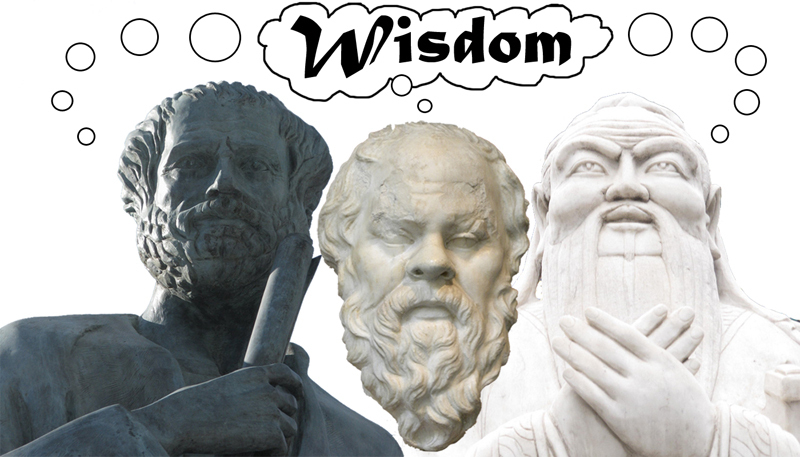 Is there a magical formula for wisdom so we may all become wise someday? Recently, journalist and author Stephen Hall, who studies the intersection of science, culture, technology, and politics, visited Carnegie Mellon to share what he had learned thus far about the science of wisdom. As part of the 2011 University Lecture Series, Hall gave a talk titled “Science of Wisdom,” which mainly focused on his journey to uncover the neurological and psychological basis of wisdom. Hall began this project in 2006, when he received the assignment from his New York Times Magazine editor. “The science of wisdom sounds a little bit like an oxymoron. Wisdom is an immense topic, obviously — it’s something people have talked about and argued about for literally millennia, and it’s difficult to talk or write about because it means so many different things with different people,” Hall explained, noting that it was initially difficult to start researching a topic that was not clearly defined. Despite the ambiguity of how wisdom was defined, Hall was able to find commonalities between different schools of thought regarding wisdom. Many scientists related it to how people dealt with uncertainty, change, and unexpected “curveballs” that life can throw at them. Other common traits that Hall kept observing among different studies were being even-keeled emotionally, understanding the viewpoint of others, having the ability to frame problems so as to expose many alternative solutions, and having a sense of moral and social justice. From these commonalities, Hall formulated what he refers to as the “Eight Pillars of Wisdom.” According to his book published last year, Wisdom: From Philosophy to Neuroscience, these eight “pillars” are emotion regulation, compassion, moral judgment, humility, altruism, patience, sound judgment, and dealing with uncertainty. “Being emotionally even-keeled affects the decisions you make. Compassion is not merely a feeling for someone else but also understanding the point of view of another person, which, in turn, forms the kinds of decisions you make,” Hall explained, indicating that these eight pillars do not have strict borders between them and may overlap and affect each other. One interesting study that Hall encountered was pivotal in the intersection of wisdom and neuroscience. Scientists at the University of Wisconsin-Madison measured the brain activity of a Buddhist monk during meditation. They did so by attaching a device to the monk’s head that collected electroencephalogram data; this essentially recorded the electrical activity produced by the brain in real time. Brain activity was recorded during various intensities of meditation. The results, which were published in the Proceedings of the National Academy of Sciences, showed that the brain activity correlated well with the various levels of meditation performed by the Buddhist monk, suggesting that mental training involves significant changes in neural activity. The results also showed promise for future work to be performed regarding which mental activity using “mental experts” such as Buddhist monks as a model system of high-order cognitive processes. Hall noted that in thinking about wisdom, the various research groups that have spent years studying the science behind it have helped push and advance the knowledge on human memory; if one considers what was known about memory a few years ago and compares that to today’s understanding, the change is immense. Hall argued that these things might have never been learned if we had not started exploring the science of wisdom.